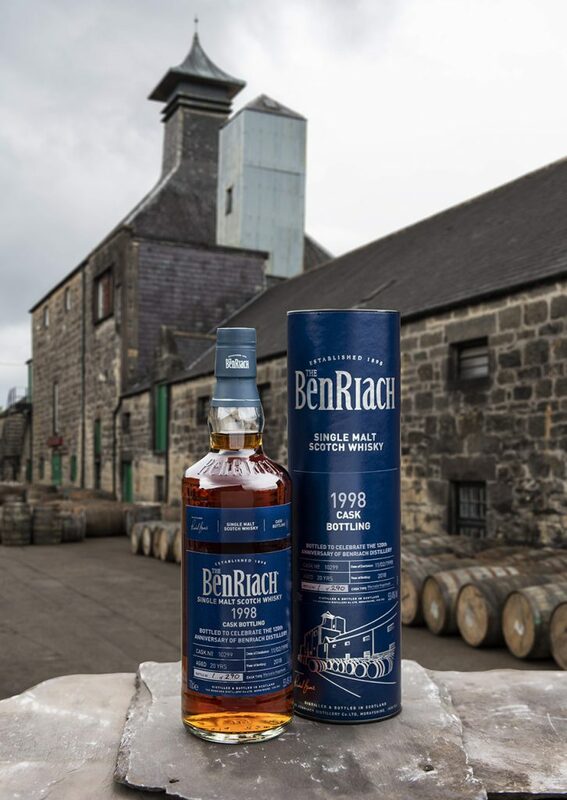 BenRiach Distillery is marking its 120th anniversary with a commemorative cask selected from Warehouse 13, the oldest dunnage warehouse at the heart of the distillery. BenRiach Marsala Hogshead Cask No.10299 was distilled 100 years after the distillery doors opened and has been maturing for twenty years. BenRiach Distillery has developed a reputation for creative maturation. This is made possible thanks to one of the most experimental range of casks in Speyside, many residing in its oldest onsite dunnage Warehouse 13, dating back to 1898 when founder John Duff built the distillery. It is in his adventurous spirit that BenRiach continues to creatively approach the art of distillation and cask maturation, all in the pursuit of flavour. “Cask No. 10299 which I saw laid down 20 years ago celebrates the multi-faceted, fruit-laden style for which BenRiach is renowned and unlocks a cocktail of fruit sweetness. BenRiach Cask No. 10299 will be available to purchase exclusively from the distillery shop from Thursday 6 September, bottled at cask strength with an ABV of 53.4%.